Registrations for 2019 is open! The clock is now counting down to the start of the 2019 Al Mouj Muscat Marathon with the official opening of registrations for the two-day festival of running. With less than eight months to go to the event on January 18th and 19th next year, organisers are aiming to build on the success of the record-breaking 2018 marathon – with over 6,000 participants – with a new high of 10,000 athletes expected across six running categories. The eighth edition of the Muscat Marathon will again see Muscat Road Runners, Oman Athletics Association and Oman Sail jointly collaborating to achieve the new targets. The event will also have the continued support of title sponsor Al Mouj Muscat, Oman’s premiere lifestyle destination. Organisers have already made one significant change, with the centrepiece marathon race along with the half-marathon, relay-marathon and 10km event now being held on the opening day of the festival, Friday 18th January. The highly popular Kids’ Run and 5km Charity Fun Run – which together attracted almost 3,500 runners to open the event this year – will be held the following day. 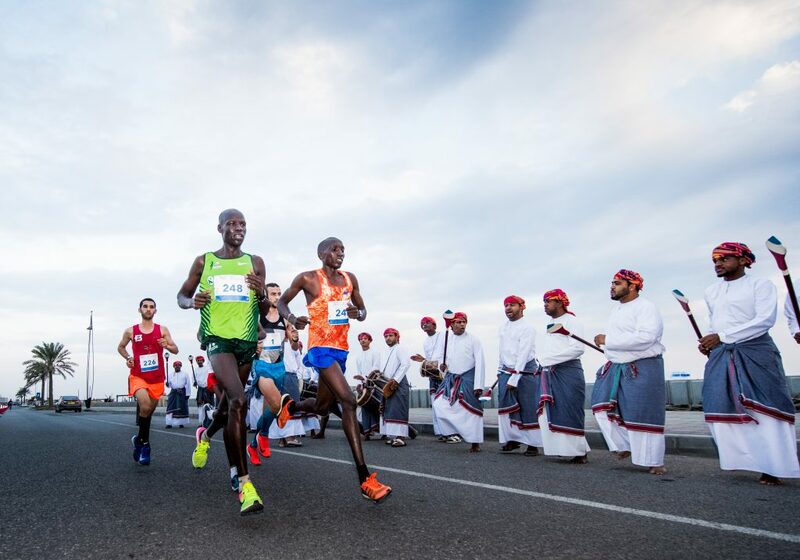 “Al Mouj Muscat Marathon this year was an incredible success not only due to the huge number of participants that were involved, but the event also underlined the Sultanate’s status as a world class sports destination. We are delighted to continue our sponsorship for the third year in succession, and look forward to inspiring more individuals from Oman and beyond to take part and live a healthy lifestyle,” said Nasser Al Sheibani, CEO Al Mouj Muscat. The Al Mouj Muscat Marathon is also supported by the Ministry of Tourism and Tanfeedh, the government’s economic diversification initiative which has identified the fast-growing global sports tourism sector as a key focus. It is a vision fully shared by co-organisers Oman Sail confirms CEO David Graham: “Our goal for 2019 is to secure a step-change in participation with a significant increase in the number of athletes taking part across all the categories, which will in turn increase the benefits to the Sultanate. The 2018 Al Mouj Muscat Marathon was won by Kenya’s Moses Too in a time of 02:19:30, with Ethiopia’s Brtukan Adeba Berihun posting a time of 02:48:55 to take the women’s title. It saw athletes representing 85 different nationalities, with 469 participants travelling overseas. Registrations for 2019 can be made at muscatmarathon.om. The 42.195km marathon and 21.0975km half-marathon races will each have four categories – an open category with a minimum age of 17, and 40-49, 50-59 and 60+ age groups. The 10km event will have similar age groups though the open category is open to runners aged from 13. It will also have a junior category for 13 to 19 year-olds. The 5km Charity Fun Run is also open to runners aged 13 and above, while the Kids’ Run will have 1, 2 and 3km courses for youngsters aged 7-8, 9-10 and 11-12 years old respectively. The Relay Marathon event is open to teams of 4 to 6 runners in male, female and mixed groups, the mixed teams having at least two female runners. In addition to an array of local partners who have pledged support for the event, the race has gained the backing of Mysk Hotels by Shaza as an official hotel for the runners to stay close to the race start location while enjoying a vibrant view of the Al Mouj Muscat Marina.